On behalf of the Department of Health, AHA administers claims and payments for the 23 Community Pharmacy Programs funded under the Sixth Community Pharmacy Agreement (6CPA). From 1 February 2019, AHA administers all registrations, claims and payments for the 23 Programs funded under the 6CPA. Programs administered by AHA include the following. Aboriginal and Torres Strait Islander support programs – to improve quality use of medicines and culturally appropriate services for Aboriginal and Torres Strait Islander Patients. AHA was awarded this services agreement following a competitive tender process undertaken by the Department of Health, based on AHA’s substantial experience administering government programs. Notably, AHA currently administers the Community Service Obligation (CSO) Funding Pool and the Chemotherapy Compounding Payment Scheme (CCPS) on behalf of the Department. 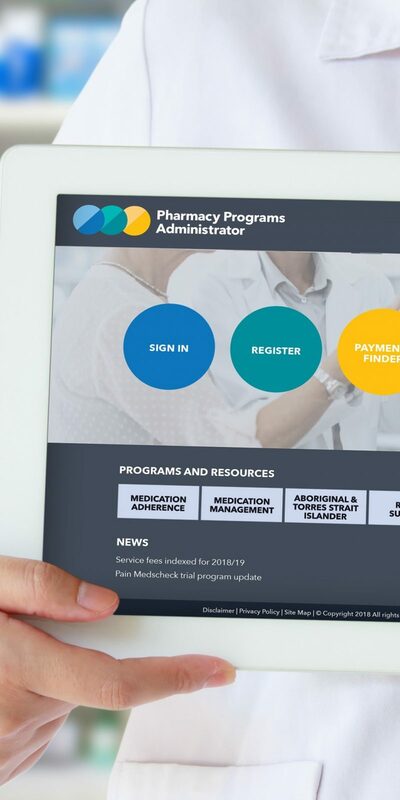 AHA has engaged the Pharmaceutical Society of Australia (PSA) to advise on and support the administration of these programs. These 23 programs are designed to improve medication compliance, reduce adverse medicine events and associated hospital admissions and medical presentations. Certain programs are targeted to support people living in rural and remote regions and other programs support Aboriginal and Torres Strait Islander people.